We’ve been working hard on creating the most complete website about a working holiday experience in New Zealand and the country as a whole, and we feel that we’ve done a pretty good job. However, if you think that something hasn’t been covered and you still have a question, we’ve made this list for you. In the meantime, we have put together a list of websites that we often use and have answers to all your questions. Please note that none of these websites are affiliated with our organisation and that we do not endorse the point of views expressed in any of their articles. BackpackerGuide.NZ is simply the best resource for working holiday or a gap year in New Zealand. MyWorkingHoliday.info offers a great easy-to-read step by step guide to help you organise your gap year quickly. It also includes location guides and travel resources. WorkingHolidayNewZealand.com has a selection of useful tools for the working holiday visa in New Zealand, such as an eligibility test, application guide and quota reports. i-SITE is a company that has an office in every city to sell you activities to do around the area. You can also check out our advice on the subject. 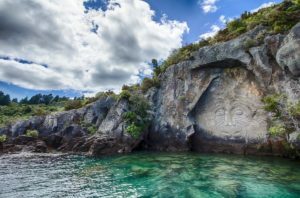 The Lonely Planet is the classic old fashion travel guide book, so see what it says about New Zealand. NZ is a site dedicated to providing tourism, travel and other information about New Zealand. The Wiki Travel page about New Zealand is well written and thorough. You will land at the Auckland International Airport, so check flight information and facilities available on the airport website. The Christchurch International Airport is the second biggest airport in New Zealand. On its website you can find live schedules and lots of useful information. Travel Safe is the official source of advice for worried travellers, the bullet points are here. Scoop is an independent news group that provides up to the minute news from the country. New Zealand Herald is the most popular newspaper in New Zealand. All the news and other stuff are on New Zealand’s leading web portal, Stuff. The second most popular web portal is powered by Yahoo: Xtra. You can also check what’s happening down here on TVNZ, the leading TV group in New Zealand. All weather forecasts are available for free on the Met Service website. Full weather info about New Zealand is available here. The Department Of Conservation, site has information about the protection of New Zealand’s natural and historic heritage, how and where you can enjoy public conservation places, and how to get involved in conservation. The Official Tourism website of New Zealand is well designed and full of information. Browse more than 600 stories and 30000 images and media about New Zealand on the most comprehensive online encyclopaedia about New Zealand, Te Ara. NZ History is the official New Zealand History website. A short version is available here. The Maori culture is an essential part of New Zealand life. You can learn more about it on their official website. On the website of the NZ Transport Agency you can find how to drive in New Zealand and all the information related to transportation. You can find a simpler version here. The Yellow Pages and the White Page will help you find the contact details for companies and services. A more localised version of the above websites is the Localist. We find our latest currency exchange rates on the Money Converter. We find our latest weather forecast on Accuweather. The NZPost website is always good to have handy to get postal codes, PO Boxes, or simply stamp prices. Check here the general costs of life in New Zealand. Here is the Wikipedia page about New Zealand. What to expect at customs with a Working Holiday Visa? What does it cost to live in New Zealand? Where to ski in New Zealand?